Today's Photo of the Day post is a throwback to 2009. I was in California, visiting the San Francisco Bay area, and spotted this sign on Treasure Island, amongst other things, a former Naval training base. 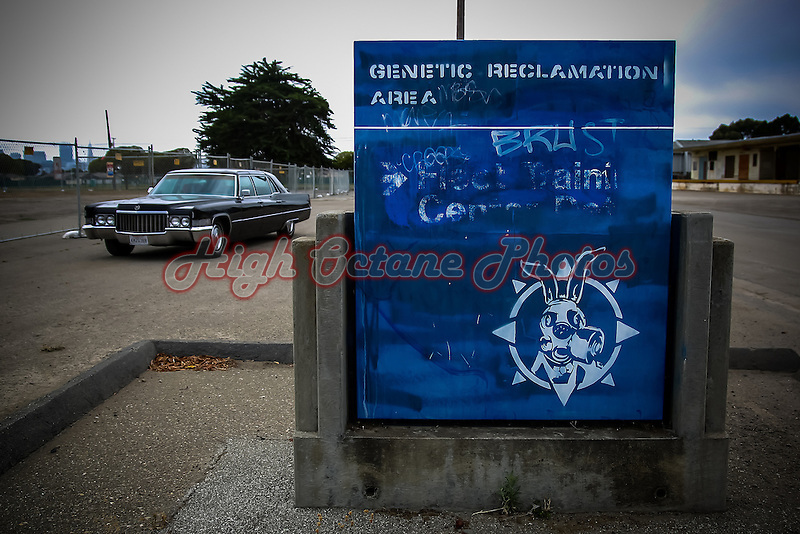 The "Genetic Reclamation Area" may not have been real, but wandering the streets of this semi-abandoned site, it certainly felt like it fitted. It also seemed only natural to position my old Cadillac belonged in the background of the shot as well.